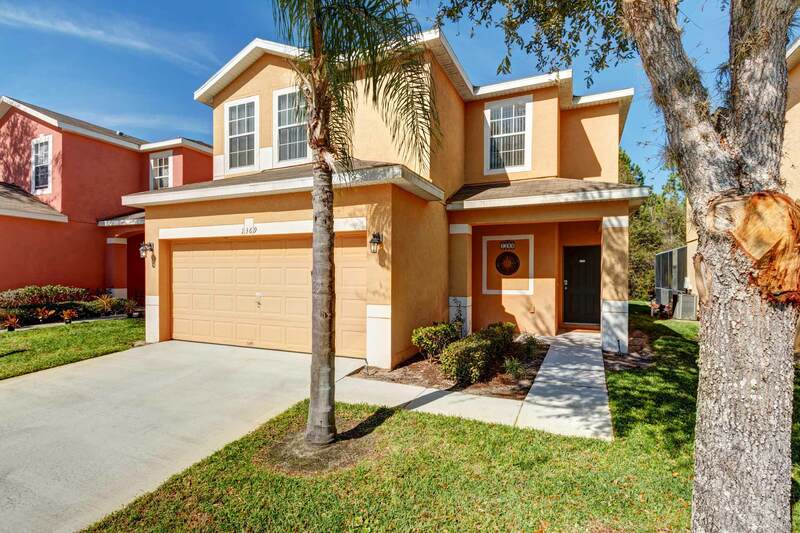 Sevilla is a four bedroom, three and a half bathroom, two-storey home located in the Sandy Ridge Development that’s very close to Champion’s Gate, just off the I-4. 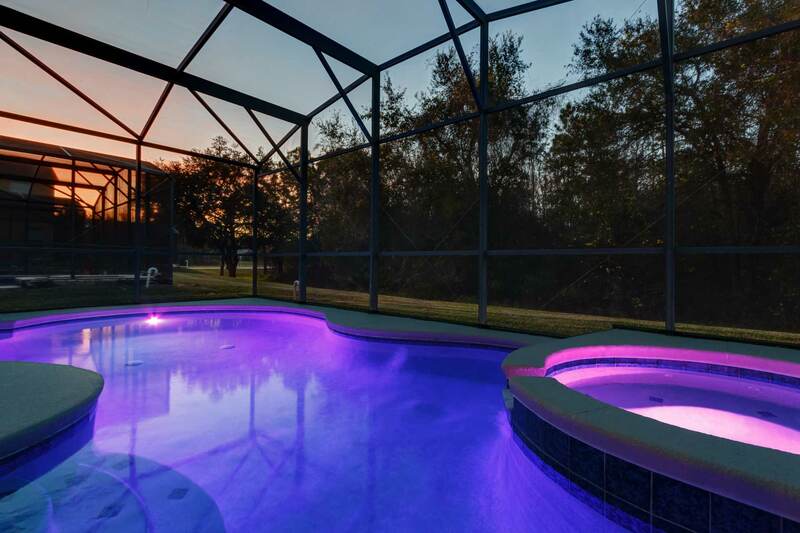 It’s just 10 minutes away from Disney, 20 minutes from Universal Studios all Orlando attractions are easily reached. The villa itself is on a conservation plot with views out to woodland at the rear. 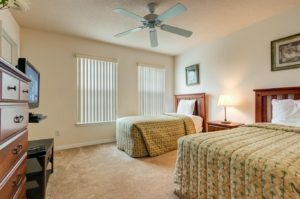 It has been furnished to a very high standard and benefits from upgraded furniture and air conditioning throughout. 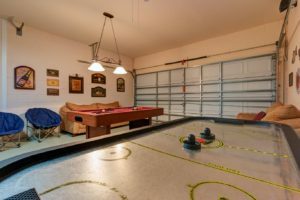 Sevilla also features a beautiful pool with a spa and a games room with both pool and air hockey tables and a TV. 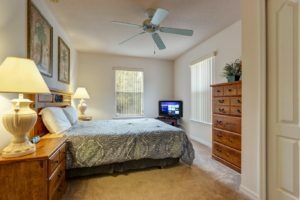 Further entertainment is provided by TVs (all equipped with cable TV), Bluray players in some rooms and Netflix throughout. 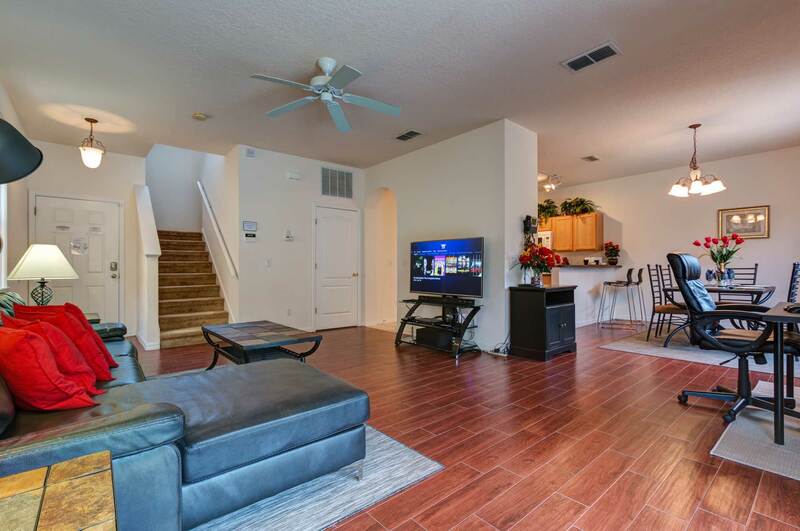 In the living area there is a 55″ 4K UHD TV, Bluray player with a high-powered soundbar. High Definition Cable TV (from Comcast Xfinity) is provided along with Access to Netflix and Amazon Prime Video. 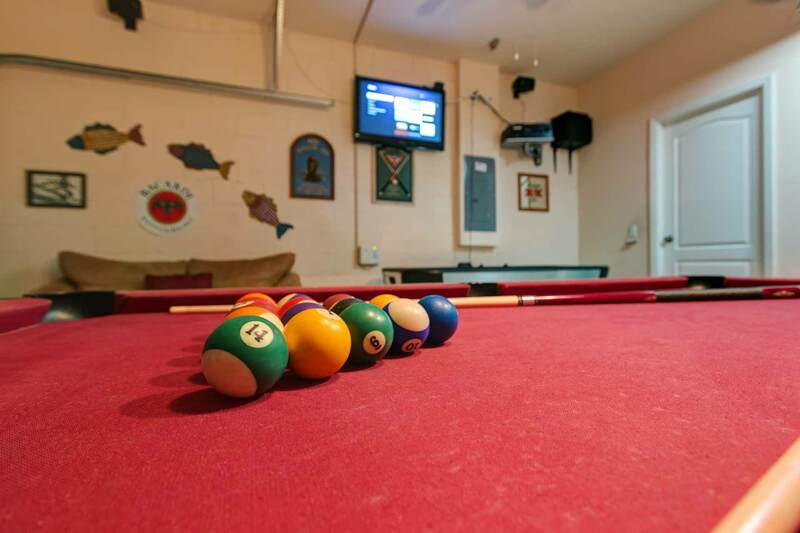 The games rooms features a 37″ LED TV with cable TV and Netflix along with a Sony stereo system. 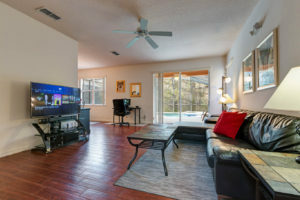 All rooms feature the ability to stream video and music content from your phone or tablet to the TV. There’s free phone calls back to the UK, a Chromebox PC with Skype and a webcam installed so you can stay in contacts with your friends and family. Also, there’s high speed (75 Mbps) wireless internet throughout. 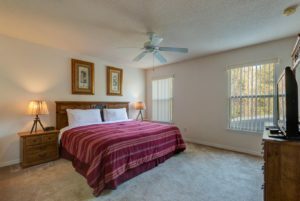 There are two master suites, one with a king sized bed and one with a queen sized bed. 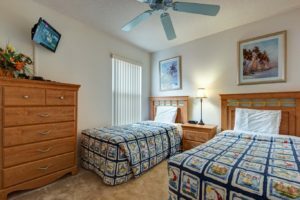 The two further bedrooms both have two twin beds and share a family bathroom. 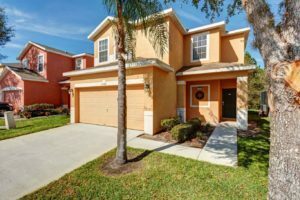 Sevilla is located about thirty minutes away from Orlando International Airport (MCO), but is easily reached from Sanford or Tampa airport, both of them about an hour away. Miami is about a four hour drive via the Florida Turnpike.